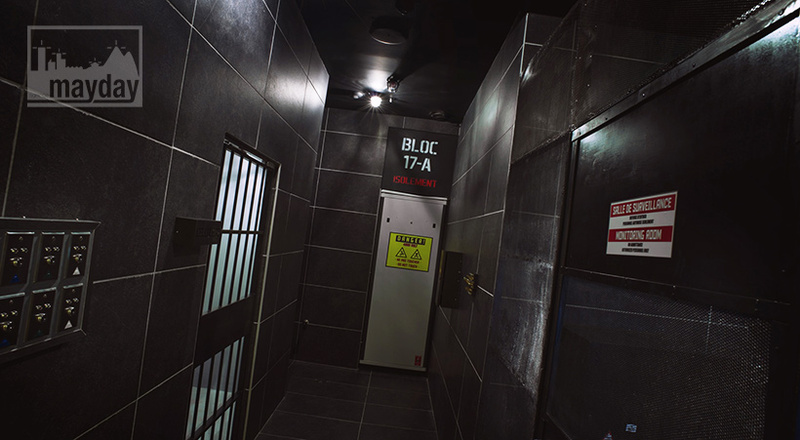 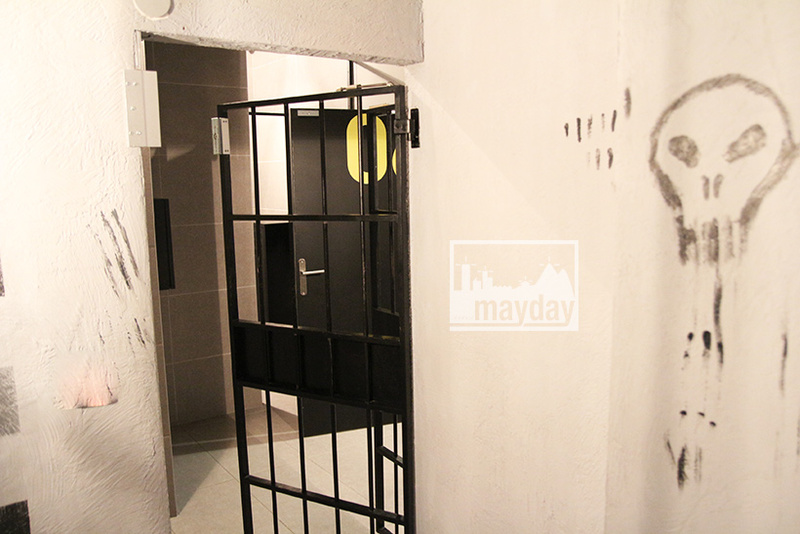 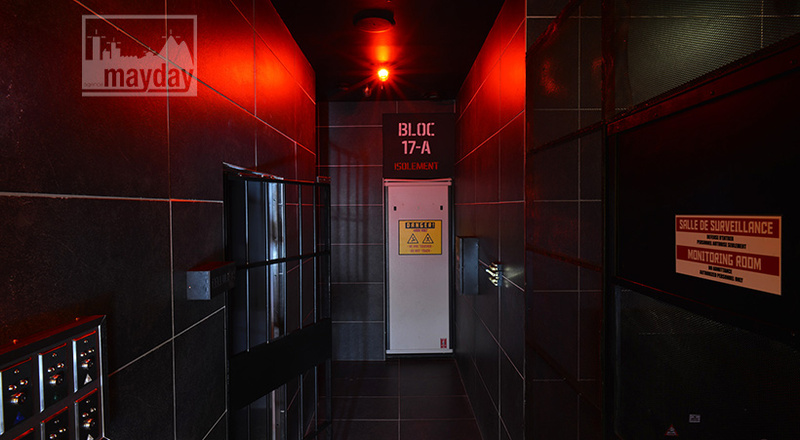 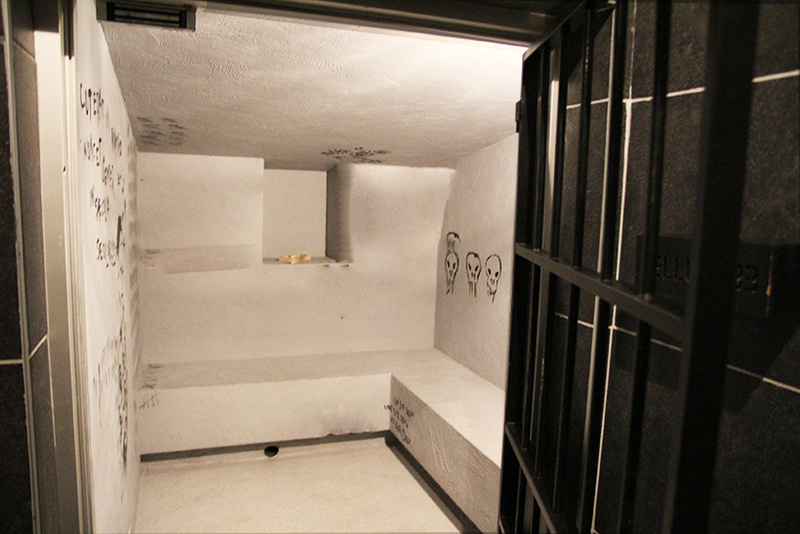 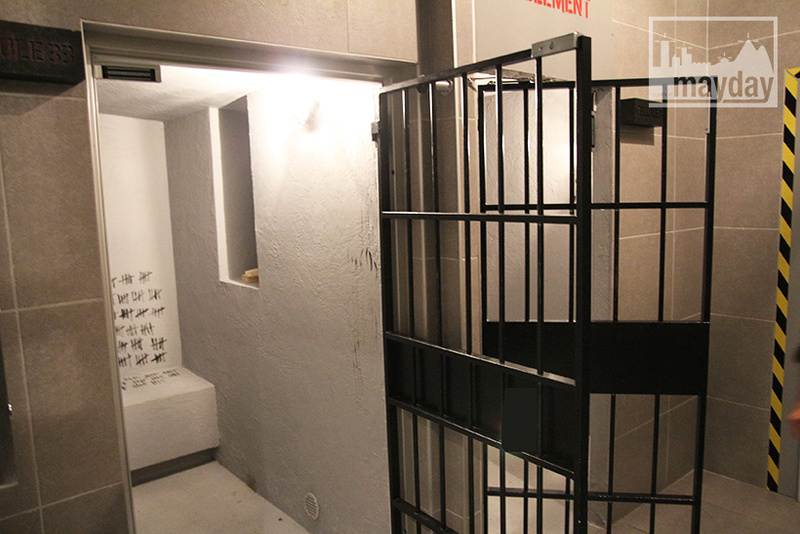 Prison cells, Lyon (clav0115a) | Agence Mayday, scouting agency | Best location for your project concerning : feature films, TV, commercials, promos, photo shoot & events. 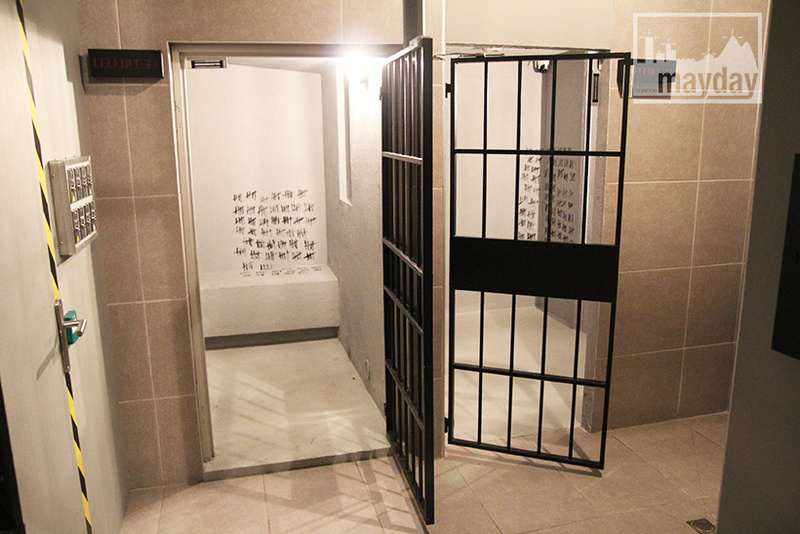 A corridor leads to 2 modern prison cells (3,5 sqmeach). 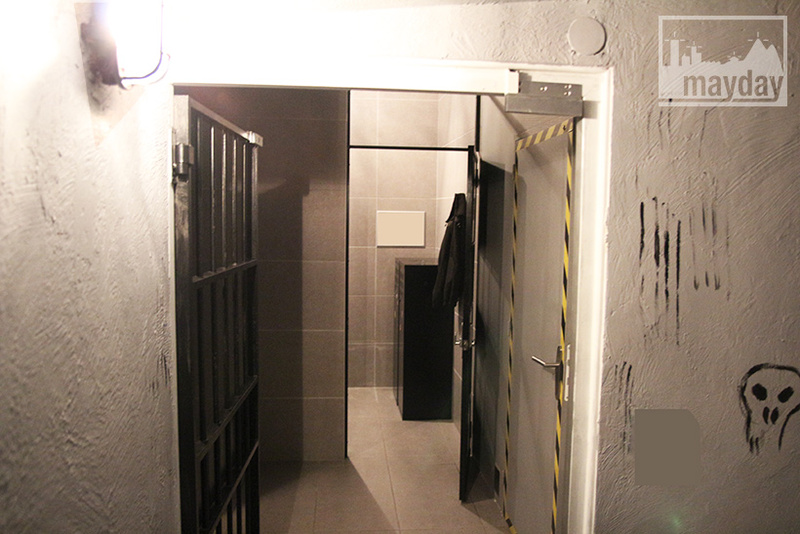 Tiles in the corridor and painted render in the cells.